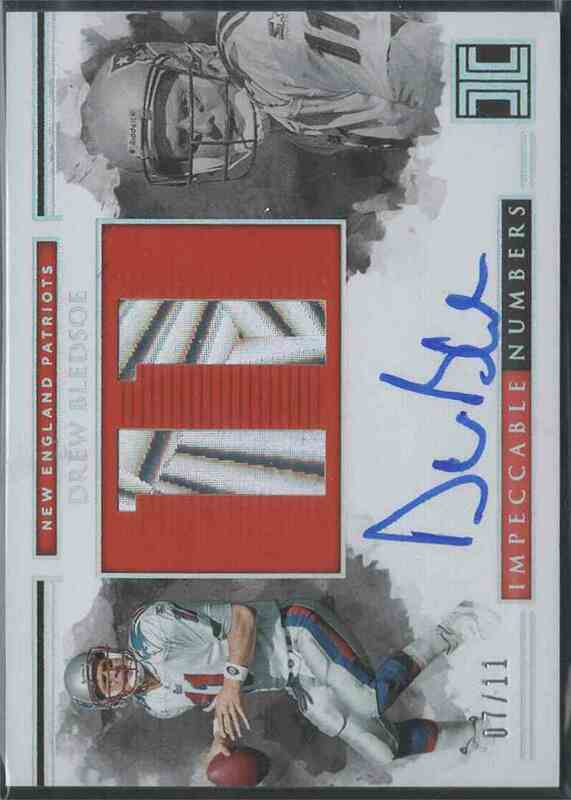 This is a autographed Football trading card of Drew Bledsoe, New England Patriots. It comes from the 2018 Panini Impeccable set, card number IJN_DR, embedded Other, serial numbered 07/11. It is for sale at a price of $ 100.00.